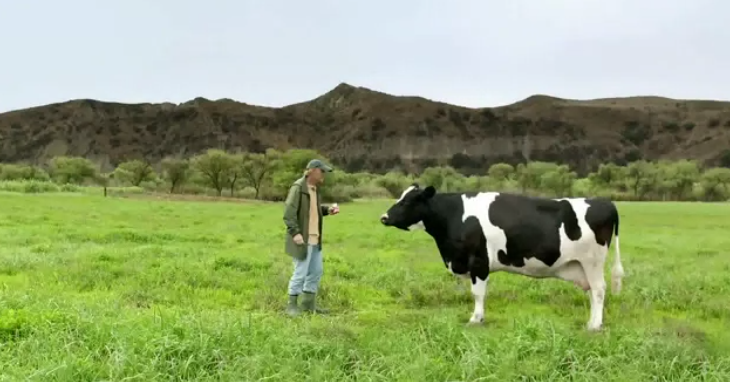 A man is seen walking through a field towards a cow, a cup of Yoplait yogurt in his hand, a spoon in his other. When he reaches the cow, he begins by telling the cow that he knows he's just a cow, that he may not fully understand him, but the milk that makes his yogurt a delicious. After cracking a minor smile, he runs off in the opposite direction.